We received another enquiry from Casey P of Virginia, USA, whose previous enquiry we featured in More or less information. This time Casey asks about an alleged example of evolution , and also about the claim that 500 doctorates were written on Piltdown Man. Andrew Lamb replies. I have a couple of other questions if you don’t mind answering them. First of all, is the example of O Gigas/O. Lamarckian an example of Evolution or Speciation? Secondly, I was wondering about the 500 Doctoral Dissertations written on Piltdown man. Do we have any copies of these 500 doctoral dissertations? Speciation Observed? Was this Evolution? Thank you for your email of 6 March. Oenothera gigas (gigas means ‘giant’ in Greek) was the name used a century ago for tetraploid2 mutants of various Oenothera species, including tetraploids of Oenothera lamarckiana. Both these names were bestowed by Dutch evolutionist botanist Hugo de Vries, O. gigas in 19013 and O. lamarckiana a short time earlier4. However, both these names are now defunct. Most multicellular organisms are ‘diploid’, having two sets of chromosomes, one from each parent, but sometimes organisms can have extra sets of chromosomes—this is called polyploidy. Polyploidy is common in plants, especially in cultivated plants. Different species of coffee plant have 88, 66, 44, and 22 chromosomes. Note that they are all still called coffee. Some strawberries are octoploid, having eight sets of chromosomes rather than the original two sets, but they are still strawberries (they have very large leaves and fruit compared to normal strawberries). A polyploid plant will usually not be able to breed with the parent species, and can consistently produce offspring with the same number of chromosome sets as itself. This can then be considered a new species. Note that there is no new genetic information involved, just repetition of existing information. By analogy, if a malfunction in a printing press caused a book to be printed with every page doubled, there would be no new information, just repetitious doubling of the existing information. The species that de Vries named O. lamarckiana had already been called Oenothera glazioviana by others5. Thus the name O. lamarckiana was invalid and largely lapsed out of use. This sort of thing is common with formal names of organisms. With respect to O. gigas, today there are well over a hundred recognised species6 of Oenothera, but Oenothera gigas is not one of them. De Vries had assumed that tetraploid Oenethera plants would ‘breed true’, forming a distinct species. However, the tetraploid specimens of Oenothera that de Vries and other botanists cultivated did not form their own self-perpetuating populations, requiring constant special care and consistently generating a range of chromosome sets (diploid, triploid, tetraploid, etc.) in their offspring. In his zeal to provide evidence for evolution, de Vries had presumptuously proclaimed tetraploid Oenotheras to be a new species, but this was in spite of direct evidence to the contrary, including from his own breeding efforts. The idea that these plants constituted an example of speciation is wrong, and this was realized at least as long ago as 1943,7 more than six decades ago. It is a matter of pride, honour and status for a scientist to identify and name a new species. This results in the situation where some species have been named and renamed multiple times by different scientists. In the same way that many anthropologists are inordinately keen to declare any ape or human bones they find to be the bones of a new transitional species11, so too there is a strong temptation for botanists to identify varieties as new species, even when the evidence is equivocal. Also, people have a spiritual hunger for evidences to support their faith. Even though there are glaring problems with all proposed evolutionary mechanisms, phylogenies, and transitional forms, evolutionists are loath to acknowledge these problems until they have another ‘comfort blanket’ evidence to replace their current hole-ridden one. In this case it seems that an intense desire to produce evidence for his evolutionary faith apparently influenced de Vries to ignore conflicting data. Note that all this has nothing to do with evolution of the microbes-to-man sort. Evolution requires the coming into existence of encyclopedic amounts of new information, coding for new types of organs, new kinds of appendages, etc. Change of this sort, from one kind of organism into a different kind, has not been observed. Observed speciation involves only the elimination, duplication, reshuffling or degradation of existing genetic information. 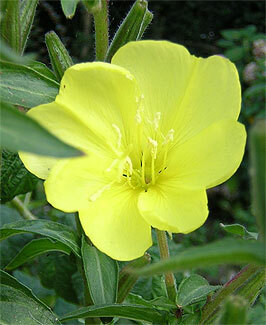 The various mutant varieties of evening primrose are all still evening primroses. If a self-sustaining reproductively-isolated population (i.e. a new ‘species’) of tetraploid Oenothera plants had developed, this would not constitute an example of evolution of the microbes-to-man sort. The same genes are present in the tetraploid, just twice as many of them. The information is merely duplicated in the tetraploid. Creationists do not deny that variation occurs, including speciation. In fact rapid speciation (within a few generations) is consistent with the Genesis account of origins and history—see the articles in the ‘Speciation’ section in our Frequently Asked Questions index, especially A new weed species—does it prove Creation wrong? With respect to Piltdown dissertations, there is company called Proquest that publishes a Dissertations and Theses database which includes entries for theses from universities around the world, dating from at least as far back as the mid 1800s, many decades before the Piltdown fragments were publicised in 1912. Proquest records only two theses involving Piltdown man12 and both these theses were written long after Piltdown Man was confirmed as a hoax, which was in 1953. Catholic scholar and former atheist Malcolm Muggeridge may have been the source of the 500 Piltdown doctorates claim, which he makes on page 59 of his book The End of Christendom, published in 1980. Muggeridge was a satirist and journalist, and these are occupations notorious for hyperbole. Other common names for this species include garden evening primrose, red sepal evening primrose, and reddish evening primrose. Return to text. Having four sets of chromosomes rather than the two sets (diploid) typical of normal organisms. Return to text. In Revue Générale de Botanique 13:11, 1901. Return to text. Although the name is attributed to de Vries, the exact date and publication details of the naming are unclear. Note, there was also an earlier attempt by an evolutionist to name an evening primrose flower in honour of Lamarck (of Lamarckian evolution notoriety). That was in 1828 by Nicolas Charles Seringe. But the species upon which Seringe deigned to bestow the honour of Lamarck’s name had already been named Oenothera grandiflora by Charles Louis L’Héritier in 1789. Return to text. Including Carl Friedrich Philipp von Martius, in Flora brasiliensis 13(2):178, 1875, florabrasiliensis.cria.org.br/search?taxon_id=1395. Return to text. Oenothera is one of 18 genera belonging to the family Onagracaea. The common name for Onagracaea is evening primrose. 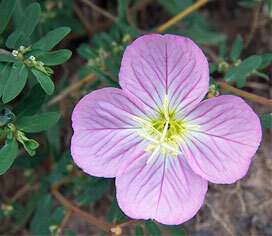 The US Department of Agriculture’s Agricultural Research Service currently lists 175 Oenothera names in their Germplasm Resources Information Network database, npgsweb.ars-grin.gov/gringlobal/taxon/taxonomysimple.aspx?Oenothera, 14 Feb 2007. Note, many of these 175 names are synonyms or obsolete—the number of actual species is considerably fewer. See also the entries for Oenothera in The Royal Botanic Gardens at Kew’s Electronic Plant Information Centre database, epic.kew.org/searchepic/searchpage.do. For a comprehensive list with photos, see the entry for Oenothera in the Smithsonian Institute’s Botany database, botany.si.edu/onagraceae/result.cfm?myFrom=tree≥nus=Oenothera. Return to text. In summary it should be emphasized that this amphidiploid did not present a settled behaviour of all pairing on the part of the chromosomes at diakinesis. On the contrary, there was much irregularity in the process of chromosome segregation during meiosis. Accounts of amphidiploids have frequently assumed that these plants even from hybrids would breed true because the double set of chromosomes would permit a regular pairing between homologues. It will be noted that here is an amphidiploid Oenothera hybrid in which the pairing is far from regular with the result that the plant does not breed true, as will appear in the accounts of later generations. Amphidiploid is a synonym of allopolyploid. These have chromosomes from different species. See also Batten, D., Eat your Brussels sprouts!, Creation 28(3):36–40, 2006. Return to text. Boxhorn, J., Observed Instances of Speciation, 5.1.1.1 Evening Primrose (Oenothera gigas), talkorigins.org/faqs/faq-speciation.html. Return to text. T. A. Brown, Genomes 2, section 15.2.1. Acquisition of new genes by gene duplication, ncbi.nlm.nih.gov/books/NBK21112/#A8698. Return to text. Catchpoole, D., Encyclopedic ‘truth’ … or worldly wisdom? Creation 22(4):50–52, September–November 2000. Truman, R., What biology textbooks never told you about evolution: A review of Icons of Evolution: Science or Myth? Why much of what we teach about evolution is wrong by Jonathan Wells, Regnery Publishing, Inc., Washington, 2000, Journal of Creation 15(2):17–24, 2001. Return to text. An example of this is the Sahelanthropus tchadensis (‘Toumai’) skull, whose transitional ape-human status was denounced by evolutionist rivals mere days after its finder published his claims (New ‘Ape-Man’ Preliminary Response). Return to text. Piltdown II: Leslie White’s Theory of Cultural Evolution, by Diana Amsden, Ph.D., The University Of New Mexico, 1976. Desimone, A., Ancestors or Aberrants: Studies in the History of American Paleoanthropology, 1915–1940 (Human Evolution), Ph.D., University Of Massachusetts Amherst, 1986. Return to text. The Piltdown Bones and ‘Implements’, Nature 174(4419):61–62, 10 July 1954; p. 61. Return to text.